"Knitting knitting knitting....from morning to night! I can't remember when I started and fell in love with knitting. 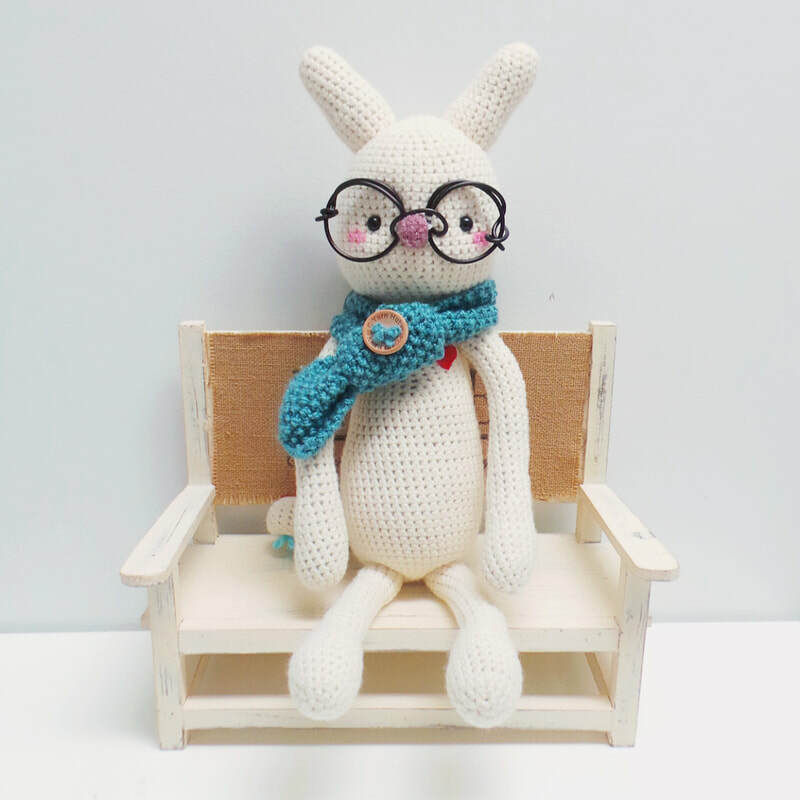 A single thread of yarn can be knitted or crocheted into scarfs, sweaters, adorable dolls... the possiblities are unlimited as long as you have imaginations and heart to perfect this art. Each piece of handmade goods is filled with a warm and sweet message. I believed that each owner is unique, all the items are custom made to your liking, a truly - The One & The Only. Clarissa has big head, small eyes with glasses, no mouth (because she doesn't like to talk), but she has good heart. Her favorite color is blue/green. She always wears her bag and brings her best friend Millie.C with her. Her duty at C Yarn Hut, is sharing and giving love to everyone. Is she a big bunny? Is she a bear? Why does she has a kitty tail...is she a cat? Well, I would say....she can be a bunny sometimes, she can be a bear but also a big cat, just use your imagination. Clarissa can be anything you want.